Charnwood, Fox, Scheppach, Robert Sorby, Tormek, Jet, Femi, SIP are just a selection of the top brand woodworking machinery, tools and machines and we supply for wood turners, builders, workshops, carpenters joiners, both the professional and the hobby market. We sell table saws, bandsaws, lathes and chucks, spindle moulders, planer thicknessers, router tables sharpeners and grinders, including the ProEdge by Robert Sorby, pillar drills, morticers and a full range of dust extractors and accessories for customising your dust extraction system. For Farm and garden we have available log splitters, log saws, shredders, rotary sieves generators, water pumps, pressure washers. The builder as well as table saws, mitre saws, plunge saws we have plaster/concrete paddle mixers, dry wall sanders as well as metal cutting bandsaws, grinders etc. Moving the the workshop we supply heaters, welders, generators, plasma inverters, chargers, compressors, metal cutting saws etc. as well as furniture, including oak benches, work stands and work stations. This includes the fantastic Swedish manufactured Sjobergs. We also have a section dedicated to picture framers where you will find mitre trimmers, framing kits, tab guns and tabs. All from our top brands, Scheppach, SIP, Charnwood, Tormek, Robert Sorby, Jet, Femi, Fox etc. We have been selling Fox woodworking machinery and machines for many years. Fox machinery provides high quality machines at a great value price. The Fox dust extractors continue to be a best seller, providing the user with long reliable service. The Fox machine range includes table saws, mitre saws, spindle moulders, planer thicknessers, pillar drills, morticers, dust extractors sanders and we are also able to supply spares for the current range and some of the machines that are no longer in production. All the fox machines carry a 3 year manufacturers warranty, year 1 parts and labour, years 2 & 3 parts only. This provides our customers with piece of mind and assurance that the machinery is sturdy and robust. Scheppach machinery is manufactured for the workshop, site, farm and garden. Supporting both the hobbyist and professional alike. 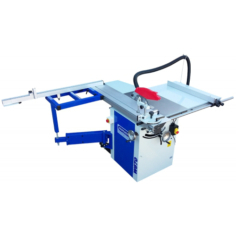 The Precisa table saws are robust and and well engineered as are the range of Scheppach Bandsaws, including the BASA range. The Scheppach range includes, planer thicknessers, spindle moulders, lathes, generators, dry wall sanders, paddle mixers, plunge saws as well as log saws, log splitters and garden shredders and the ever popular rotary sieves. We also supply Scheppach Tiger grinders and the accessory jigs for them, making the machines versatile and flexible to use. We carry the woodturners range as well as the household range for knife sharpening and the like. As a German company, Scheppach design and engineering makes their products popular and reliable. This is best demonstrated by the range of table saws and band saws they sell. From simple and good value range right up to the professional workshop. All their machines are warranted for 12 months and up to 4 years for certain ranges. Handcrafted woodworking tools for the wood turner made in the UK. Robert Sorby products represent premium quality. From the Patriot Chuck, with its many accessory jaws making use of any lathe an even better experience. Sovereign toolsets, provide multi inter changeable heads on a single handle remain a best seller as does the the Robert Sorby ProEdge sharpening system. The ProEdge takes the stress out of precision sharpening using a traditional grinder thus ensuring the correct angle on the wood turning tools to optimise performance. 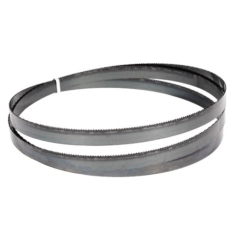 We stock its numerous accessories including replacement belts and jigs etc. We have in stock all the Robert Sorby Patriot chuck accessory jaws as well as steb centres. 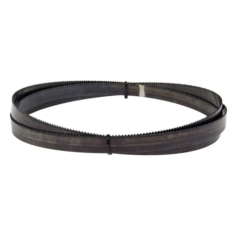 The Robert Sorby range is big, and whilst we hold the 100 most popular items including the full range of ProEdge belts, we are able to order in and supply the entire range of Robert Sorby product to our customers. The Charnwood Table Saw range and bandsaw range is probably is first class and loved by the professional and hobbyist alike. Charnwood are still a family run business thus their core values of service and quality run through their entire range. They come with an extensive collection of accessory jaws to meet every wood turners ambitious project. we supply the entire range of Charnwood woodworking machinery, including, saw, pillar drills and bench presses, sanders, grinders and sharpeners, spindle moulders, planer thicknessers, router tables, and dust extractors and dust extraction accessories. The W791 and W792 are for the professional workshop which need their dust extractors to run for 8 hours continuously. We ship Charnwood woodworking machinery all around Europe in particular the table saws and band saws. Their reputation of quality is well known. Backed up by 1 year manufactures warranty, their engineering team are always on hand to help with questions and challenges, particularly during the machine set up. Charnwood also operate Framers Corner focusing on tools and machinery for the Picture Framer. We supply underpinners, mitre trimmers, tab guns and tabs. We have supplied SIP Industrial products woodworking machinery for many years, their spindle moulders, bandsaws and table saws are particularly robust and perfect for the enthusiast with larger projects in mind and the professional environment. They provide a full range of products including mitre saws, dust extractors, work benches etc everything that the woodworker needs. We have expanded this year the range of SIP products we supply. We have focused on the farm and garden and workshop environment. In particular generators, heaters, water pumps, welders, compressors, charger packs, as well as their log splitters. Much of their machinery is manufactured in the UK or Europe and are backed up by warranty of differing length depending on the product range and point of manufacture. Every SIP machine has at least a 12 months manufacturers warranty. Thor Filtration are a UK based manufacturer having taken over the production of Air Filters when Microclean ceased production. Four Air Filters are currently available in their range and these have proven to be successful in operation. New into the UK in 2019, Zipper is an Austrian Brand that has built a reputation on quality and reliability. founded 2008 ZIPPER Maschinen GmbH based in Schlüsslberg. The founders being Klaus Schörgenhuber, Erich Humer, Dipl.Ing. Daniel Schörgenhuber and Gerhard Rad. Although a young company it the founders have many years of know-how and therefore they have carefully selected their product range, which is aimed equally at the ambitious garden owner, DIY craftsman and also at professional users. The range available in the UK currently does not cover their full range which will increase over time as the brand and reputation grows. The ultimate in quality workshop benching. Investment in a Sjobergs bench is an investment for life. The Sjobergs range is versatile and adaptable and is the work bench of choice for the discerning woodworker. We supply the every popular Nova range of chucks and accessories. This includes the Nova 3 and SupaNova chuck. With the jaws interchangeable with the Robert Sorby Patriot, it enables wood turners to have flexibility in the chucks they use. We stock a selection of the PROXXON MICROMOT tools. Proxxon are high quality fine power tools for model makers, instrument mechanics, form makers, tool makers, opticians, jewellers and more. All the tools you need for delicate work. They are quiet, precise and vibration-free for extended use during hours. The PROXXON range has over 50 machines and they are world leaders in miniature tools. If you cannot see what you want call us and we should be able to help you get what you are looking for at competitive prices. Femi is part of the Fox family and specialises in grinders and sharpeners. They are great value for money and represent the perfect entry model or for the occasional user. 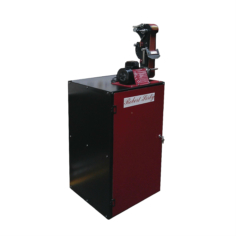 The Femi metal cutting bandsaw is very popular with our customers and again provides a versatile and reasonably priced alternative to the professional metal cutting bandsaws supplied by SIP. 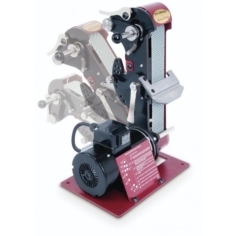 Swedens Tormek is one of the best wet and dry grinder and sharpeners on the market. Available with a full range of accessory jigs for both the wood turner to sharpen his tools and the catering industry for knife sharpening. With over 50 years of experience in manufacturing and a dedicated research and development team, JSP provide their consumers with exceptional products & value added solutions thanks to their market driven focus and best in class manufacturing. JSP® products are manufactured under a worldwide QMS (Quality Management System) and meet the latest European and international safety standards. JSP® Branding and in-mould labelling service is offered on a wide variety of products allowing us to deliver safe, high quality bespoke PPE solutions to many industries around the world.